The book The King Never Smiles, by Paul Handley, was banned in Thailand. One unforgettable wire photo from 1985 shows the leaders of an attempted military coup on their knees before the late King Bhumibol Adulyadej who was symbolically brokering an end to unrest sparked by the coup. There was only one death in the coup attempt: cameraman Neil Davis who filmed the soldier who shot him. 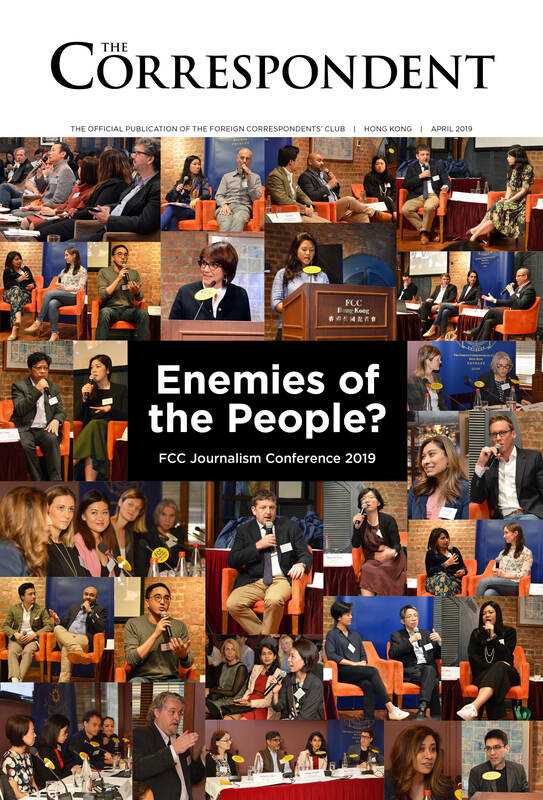 Many FCC members have from time to time been based in Bangkok covering the turbulent political events played out on Bangkok streets since the 1980s. Whether coups (10 before 1980 and 10 since) or Red and yellow-shirt protests. The most recent coup in 2014 has led to an unprecedented crackdown on journalists, TV and Internet news programmes as well as a strict application of the lese majeste laws against social media. The former Hong Kong-based Far Eastern Economic Review, well known for treading on toes throughout Asia, was very careful in its coverage of one of the King’s periodic walkabout tours of the Thai countryside in the mid-80s by the then editor (and former FCC president) Derek Davies. This celebrated cover story was about the King visiting carefully selected villages to listen to problems and hand out purples (Baht500 notes). However, many of the Review’s Bangkok-based correspondents skirted the law on a number of occasions particularly when speculating about the unpopular heir-apparent Crown Prince Vajiralongkorn. One of those correspondents was Paul Handley (1987-1994) who later wrote the book The King Never Smiles, released in 2006 – which was banned in Thailand even before it was published. The book asserted that the King, widely seen as beneficent, apolitical and a living Buddha, was “deeply political, autocratic, and even brutal” and linked to big business and the Thai military. Thai officials blocked access to the book’s page on the publisher Yale University Press’ website and at Amazon.com as the “contents could affect national security and the good morality of the people”. Later two state-run university bookshops removed books that referenced Handley’s book. In October 2011, Thai-born American Joe Gordon was sentenced to two and a half years in prison for defaming the royal family by translating sections of the book into Thai and posting them online. He was pardoned eight months later. Some of the most recent arrests for lese majeste have been made over posts on social media sites: A man faces 15 years in jail for posting images on Facebook of the King’s favourite dog in a way that mocked the king, according to the prosecutor; a cleaning lady is being charged for posting the words “I see” in an exchange on Facebook between her and a political activist that police say had defamatory comments; in May Patnaree Chankij, a mother of a prominent pro-democracy activist was charged for failing to criticise or take action on Facebook messages that were sent to her account by her son’s friend; and even hitting the “like” button on Facebook on a post that is deemed offensive to the king has led to people being charged under Article 112. Earlier, Jonathan Head, BBC correspondent and FCC Thailand vice-president, in May 2008 was accused of lese majeste three times: for writing articles about the alleged support for the People’s Alliance for Democracy by members of the royal family; writing that the Crown Prince might find it difficult to “fill his father’s shoes”; and allowing a picture of a politician to be placed above a picture of the King on a BBC web page. Social activist and former magazine editor Somyot Prueksakasemsuk was jailed in 2013 for 10 years over two articles deemed offensive to the royal family.